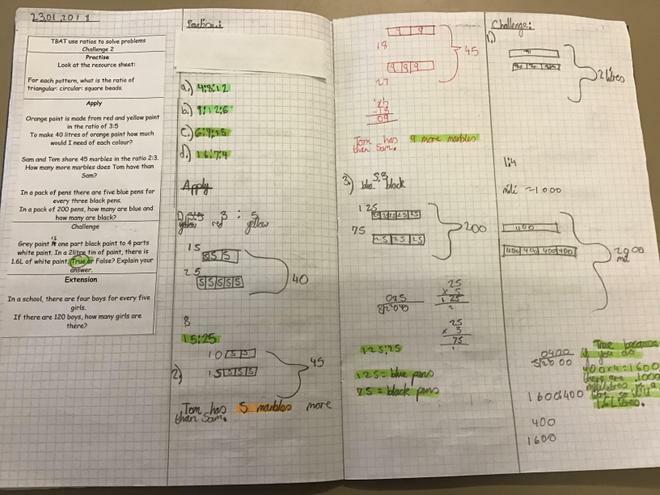 At Maldon Primary School we teach children maths using PACE. This structures the lesson using practise, apply, challenge and extension. During the practise section, children are able to practise the pure skill being taught in the lesson. 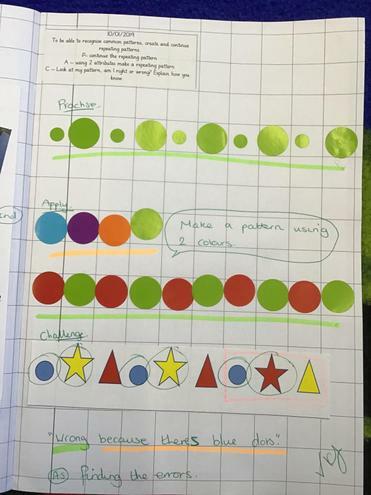 This could be addition, subtraction, reading information from a line graph or even finding fractions of amounts. After completing their practise, the children move on to their apply. Here they are able to apply their new knowledge of the skill to different contexts such as worded problems or using it to solve a puzzle. Next is the challenge section. 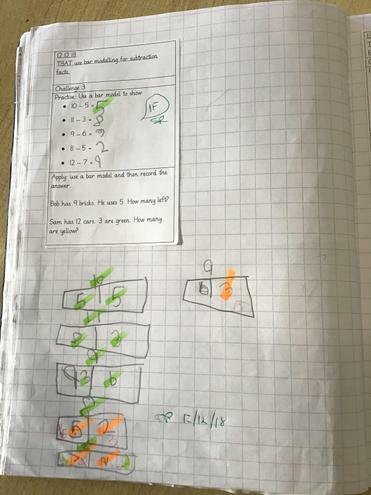 Children are tested in their explanation skills here and often have to find the mistake in a worked example and explain what has gone wrong. They may also be asked if a rule always, sometimes or never applies to a given example or if a statement is true or false. Finally the children are faced with an extension. Here they are challenged to apply the newly taught skill into a further context that will extend the children's knowledge further. 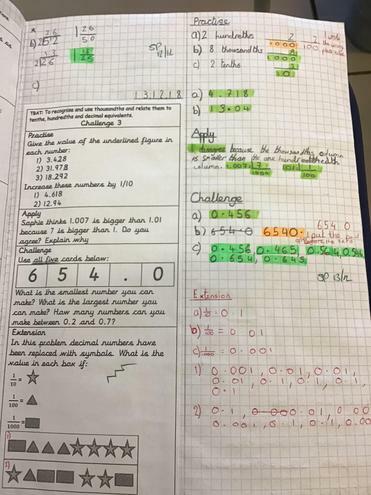 They may be extended to explain how to complete a method is a given number of words, write their own worded problem that involves set criteria or even solve a puzzle or open ended investigation. 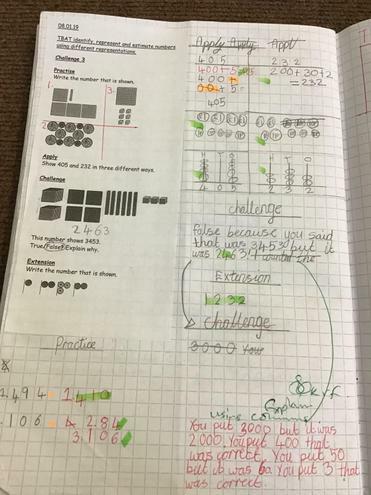 Have a look at our pictures below to see some examples of our maths work using PACE.